My reading goal was 35 books and I've read 38 books this year! Yay! 31. 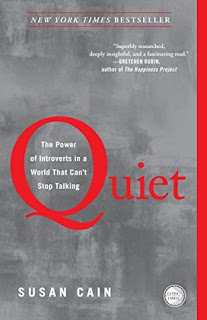 Quiet: The Power of Introverts in a World That Can't Stop Talking by Susan Cain. Nonfiction/ Psychology/Self Help/Social Sciences/Introversion. 4 stars. 32. Hamilton: The Revolution by Lin-Manuel Miranda and Jeremy McCarter. Nonfiction/Theater/Musicals/Creation of/History. 4 stars. 33. Gmorning, Gnight! Little Pep Talks For Me and You by Lin-Manuel Miranda, illustrated by Jonny Sun. Nonfiction/Poetry/Tweets/Illustrated. 4 stars. 34. House of Falling Embers by Krystal Jane Ruin. Fiction/ Fantasy/Supernatural/ Mystery. 4 stars. 35. Mariana by Susanna Kearsley. Fiction/Historical Fiction/Romance/Fantasy/Time Slip. 3 stars. 36. Cibi: Simple Japanese-Inspired Meals To Share With Family and Friends by Meg and Zenta Tanaka. Nonfiction/Cookbook/Food/Japanese. 4 stars. 37. Lighting The Flames: A Hanukkah Story by Sarah Wendell. Fiction/Romance/Contemporary Romance/Jewish/Novella. 3 stars. Where's My Writing Been This Year? So recently, I read a post by a writing acquaintance. She was a self-published author but she's one of the few self-published authors who got picked up by a publisher and now her series is being reissued in trade. She was talking about how she couldn't keep up with the quick release dates necessary for self-publishing success and how having a publisher means more distribution for her work. Which is great! I'm so happy for her! But it made me think about what and where I've been with my writing, because if I thought I was unfocused last year, then this year's been worse. Granted, until I quit one of my jobs in September, I was exhausted and working bizarre hours and stressed out and depressed, which is not a good recipe for being creative, at least for me. It's the first Wednesday of December and time for the last IWSG post of the year 2018! 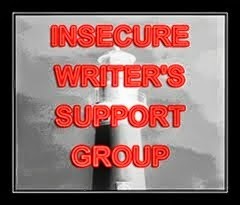 The Insecure Writer's Support Groups posts of their writerly insecurities every first Wednesday of the month, founded by Alex J. Cavanagh. Check out the group here. Also the instrument of my greatest distractions, my laptop is where I write in spurts. I like to jot down my story ideas by hand on paper, so I have notebooks for separate story ideas and a small one for carrying around with me and jotting down ideas on the go. They live on my nightstand, right beside the recliner in which I perch. Usually filled with either tea or water.